Emilio Estevez is no stranger to the filmmaking world, but with his critically acclaimed film “The Way,” viewers began to see him and his talents in a new way. 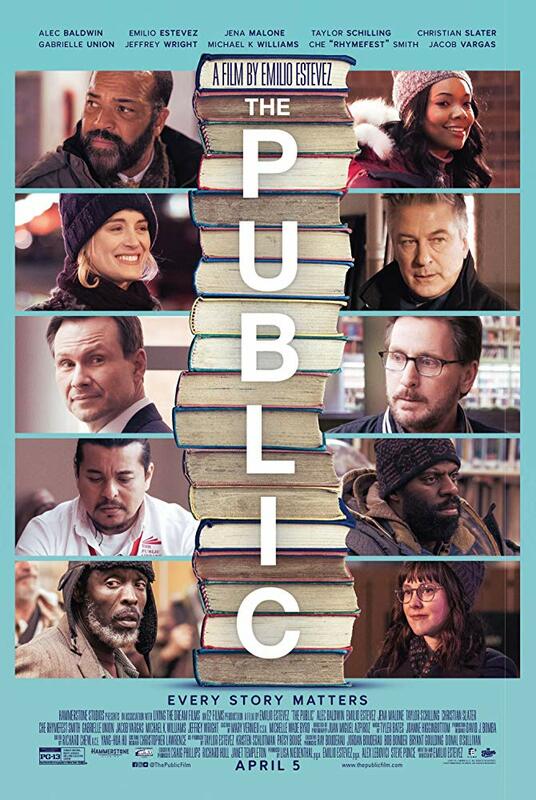 Now, Estevez writes, directs and stars in “The Public” surrounding himself with an all-star supporting cast including Christian Slater, Alec Baldwin, Taylor Schilling, Jeffrey Wright, and Michael Kenneth Williams, as he addresses the relevant topic of homelessness in our country. Stuart is a librarian in Cincinnati, Ohio during a polar vortex. The homeless population has come to expect use of the library as shelter from the brutal winter conditions during the day, but as the cold begins to kill at night, Stuart takes action at the suggestion of a homeless man, Jackson (Williams), to keep the library open at night. Timing couldn’t be better as a local political race ensues, pitting a slick litigator against a media savvy preacher. Add to the mix a ratings-needy news anchor who tries to find the best angle to cover the event, and everyone’s world is impacted. Stuart is a quiet man, living a quiet life until he meets Angela (Schilling), his building superintendent. We see a sweet charm about Stuart as we see the sparks begin to fly, but there’s also a certain calmness about him as he interacts with the homeless men and women awaiting the library doors to open. Compassion and respect are always at the forefront, endearing us more to this character, but when his job security is threatened, he finds himself at a crossroads and he plunges down a path with unknown consequences, tossing the balls of politics, ethics, and government in the air. Finding humor in a film about homelessness seems impossible, but writer and director Emilio Estevez balances this like a professional tightrope walker; knowing that if he sways too far in one direction, he and the film will fall. He remains focused and steady as the story unfolds. The reality of the dramatic elements of how the homeless become that way and how they survive is heavy, yet not crushing. There’s also a comedically charming aspect of his new love interest and downright hilarious situations that occur on an every day basis at the library. “Sitting around reading books” is not what happens here! While the main topic of the film is homelessness, there are many other subplots that develop throughout the film such as addiction as Detective Bill Ramstead (Baldwin) searches for his missing son, a drug addict. He’s torn as an officer of the law and a father whose never-ending love to help his son becomes his priority in life. Slater creates a slimy and very unlikeable, but intelligent lawyer/politician whose narcissism and ego steer his every move. 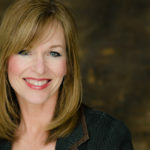 Estevez creates a multilayered story and doesn’t forget to include how media impacts and influences our perception of events, all with a splash of humor and maybe even a little sweet revenge. Estevez, wearing the three hats of writer, director, and star, could be a daunting task, but he easily and skillfully delivers on all three fronts. His portrayal of Stuart draws you to him as you know his backstory is an interesting one and you yearn to know more. There’s a sadness in his eyes and his body language exudes a heavy load that he has carried punctuated by the compassionate utterances as he interacts with everyone, no matter their position. It’s one of his best performances. The film has so many stars, many of whom take their smaller, supporting roles and make them shine, helping to create a meaningful and thoughtful story. Slater comfortably creates his despicable role and Wright is kind yet conflicted as the head librarian who must make difficult and contrary decisions. Williams is extraordinary in his performance as a homeless man with his finger on the pulse of his community. His portrayal brings humanity to his situation and changes how you perceive the next man, woman, or child you see on the street. “The Public” creates an engaging and entertaining film as it highlights very real social issues that plague our society today. With thoughtful dialogue and character development, no matter how small, we can walk in another’s shoes for a few miles. Shouldn’t every film to that?